Coming, April 18, 2017. She Writes Press. Distributed by Ingram Publishing Services. 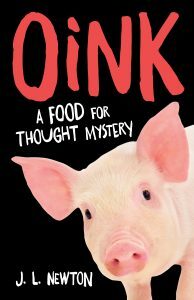 Culminating in a twist as curvy as a pig’s tail, Oink: A Food for Thought Mystery is at once a sly send-up of the corporatized university and a reminder of why community belongs at that heart of human life. “It has been said that the comic campus novel is no more (things in higher ed are verging on the tragic), but Oink proves otherwise.” Read more about Oink here! 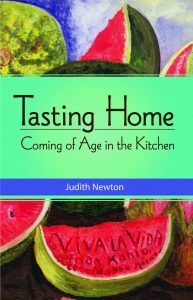 If Julia Child had cooked Italian for a gay husband, used sugar to sweeten a sour childhood, and hosted buffets for a better world, she could have written Tasting Home: Coming of Age in the Kitchen. Read more about Tasting Home here. 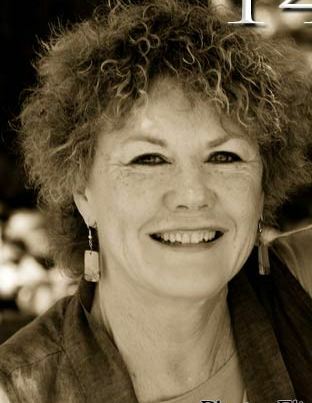 Winner of twelve independent press awards.